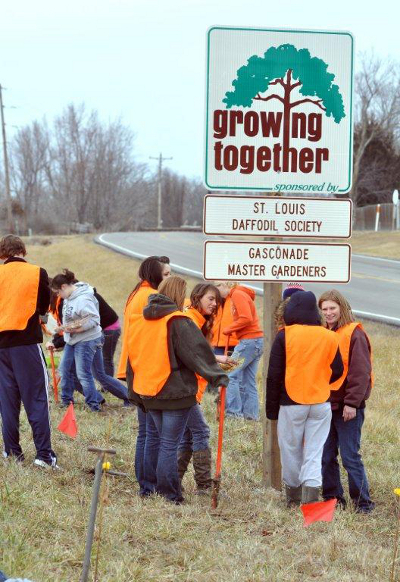 The Owensville High students gathered at the daffodil planting site. 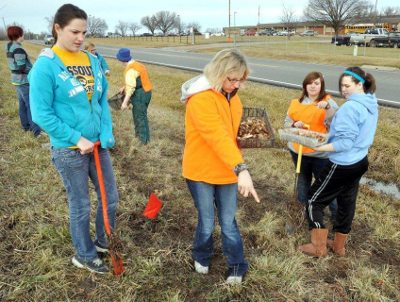 The students are receiving planting guidance. 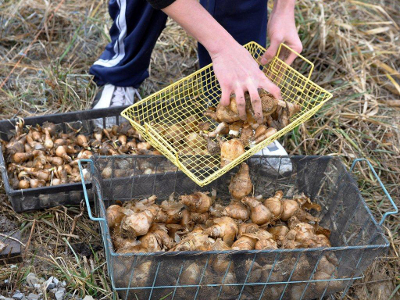 Students selecting daffodil bulbs for planting. 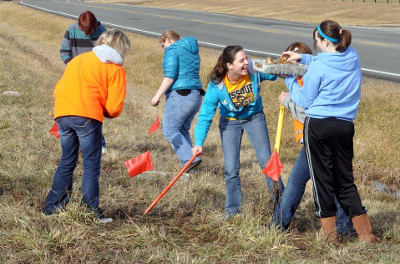 Students having fun planting daffodils.